Hi everyone. I'm sorry to take up some of your time. I've recently moved out and am now living alone (broke up with my gf of 3 years). After all the work that I put into moving out, I'm out of energy and I can't find it in myself to do what I want to do. I feel a bit trapped and need some help. If anyone knows a way out of this shithole I put myself into, I'd greatly appreciate it. I'm also having network issues and, on top of that, I can't install CentOS 7 on a smart array... Not so smart after all, apparently. I'm generally feeling like I've made a bad choice, but, deep inside, I know I want to focus on work and learning. I've been working for the last 5 months at this job and I'm getting promoted. My manager built a custom position after noticing my skills. I love my job. AMA! My worst fight with a dev was definitely that time I tried to break the mould and build this incredibly tedious VB app to automate data handling through Excel, PowerPoint and Outlook. The other dev always said "you can do this" and "come on, it's not rocket science" and I was always like "yeah, dude, sure, but can you help me with this bit here, please, I'm so stuck on it?" He'd be all like "ofc bro, I got your back", but when it came to the actual work that needed to be done, he was all silent. 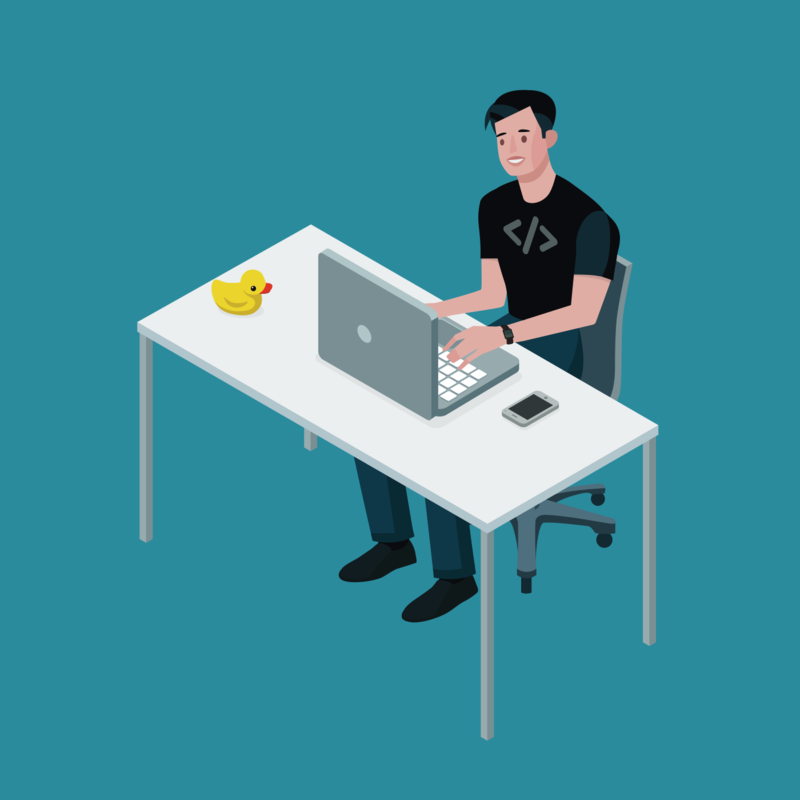 Needless to say, now I have a rubber ducky to help me with my dev needs, as talking to myself felt like a nightmare. Guess that's what other people feel like when I strike up a conversation with them, too. Now I've seen them all. Ticketing through OneNote. Each email was manually categorized by priority. They got around 20 emails per day. The responses, both from them and from the customers were one below the other, in sort of a forum model. Cool, not taking any more freelance jobs anymore. The money definitely doesn't make up for the amount of stupidity you come across with some people. I'm looking to buy a domain for my Plex server. Basically, what I want is to be able to watch my movies and TV shows, pictures and other stuff just by visiting my own website. Some of the things I have are not really mine, but I protect that by only allowing myself on the server itself, behind a PIN. Is there any way I can get in trouble after buying a domain? Crap! R starts its vectors with index 1!!!!!!! That time I got frisky with VBA and spent a whole night coding to have it compile sets of data into charts, without having any experience in VBA coding. Also added buttons. We can now download our avatars! Thanks @dfox and @trogus! Am I internet explorer, or just late to the party? Can't compile the tutorial code in Android Studio without switching to an older API. Anyone know why that is? Does it have any relevance to the API supported by the emulated device? Best coworker I've had and still have is a girl I've met in training. Whenever our shifts overlap I work best. Last time this happened we watched Pink Floyd's The Wall while solving tickets and taking chats. Other times we rock out to music and every time we laugh at some customer's way of describing their issue. She also has a great lifestyle, she's an actress and she's got loads of fun stories to tell.